I love it when things come together for an unexpected treat! This week’s convergence of forces was triggered by seeing this recipe on Smitten Kitchen. 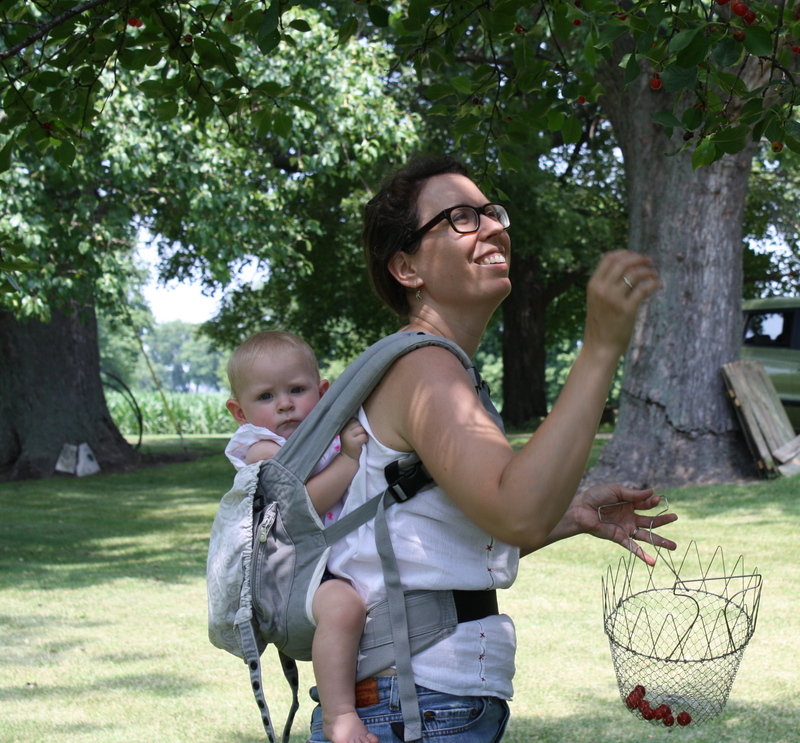 I wistfully sent it to my brother in Central Illinois because I know about this time of year Margaux’s Aunt Gigi invites them out to pick cherries at “The Big House”. 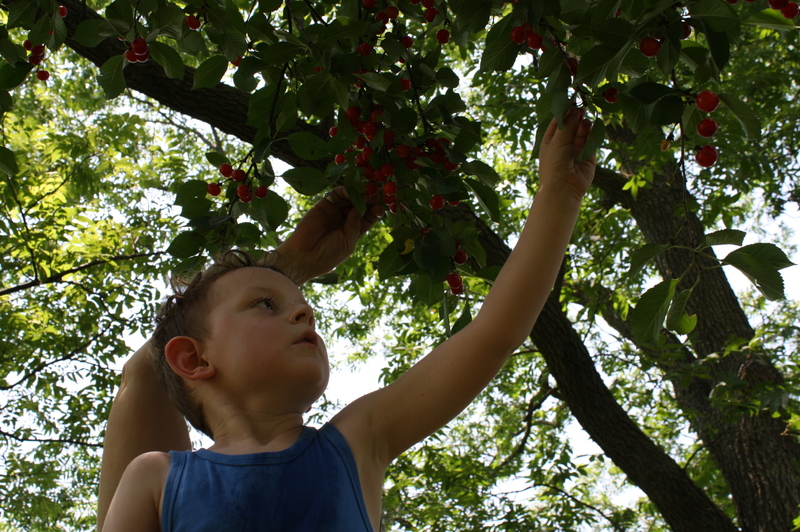 Wistfully, because I was confident that I would not find fresh sour cherries here in Minnesota. 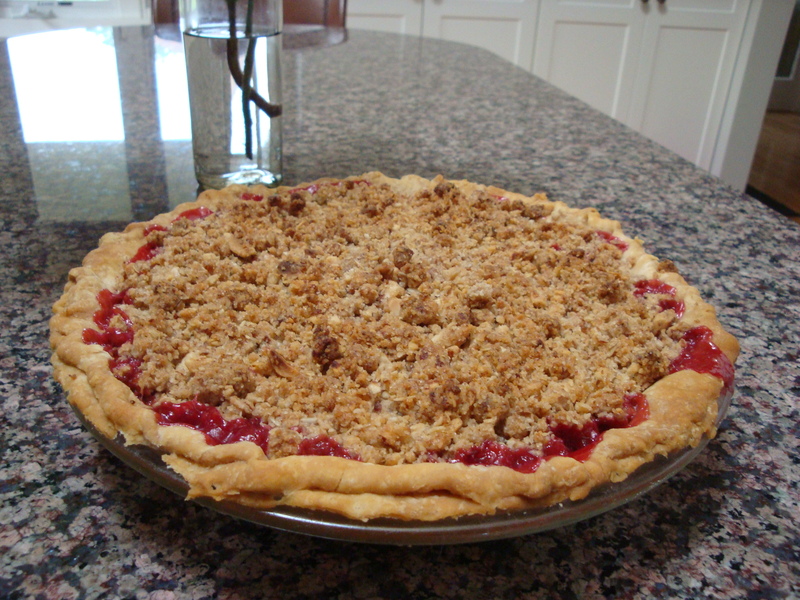 They are a favorite of mine from childhood – my Mom made great cherry pies – and I have never seen them available here. But, wait! Unexpected force #2 was, to my amazement, Prairie Hollow Farm at the Mill City Farmers Market had fresh sour cherries this weekend. I snapped them up so I could make this pie, which I did for a get-together with friends Sue and Al. The pie was a hit! 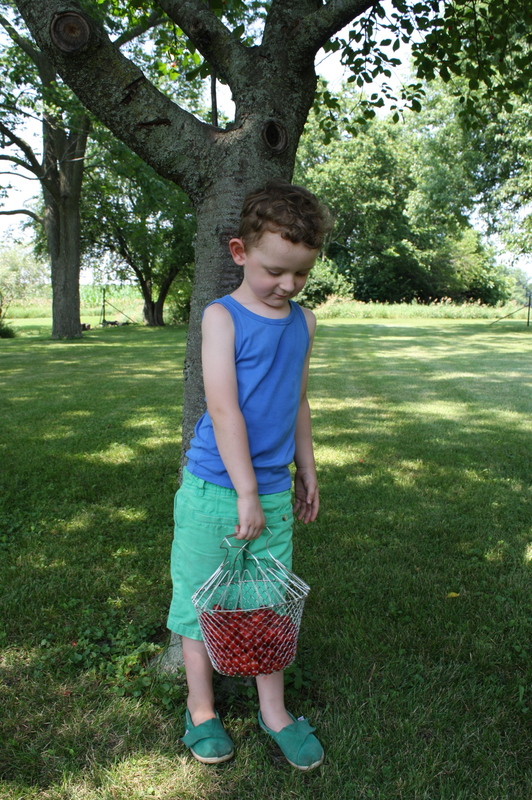 I will make it again later this week when I visit family where I’ll use those cherries my brother picked. A note on the quantities and ingredients: I ended up with a little under 4 cups of cherries once I had pitted them and removed those that were past their prime. Because of this I used an 8 1/2-inch pie plate. 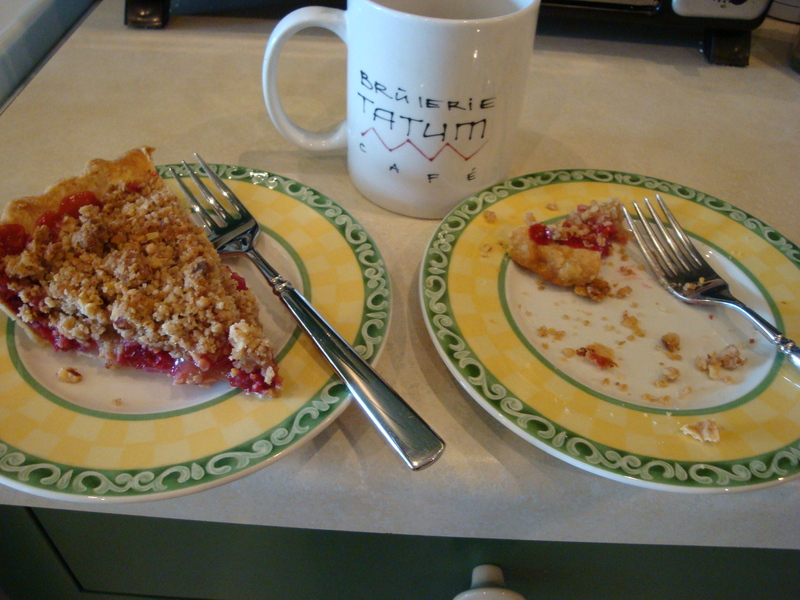 If you are lucky enough to have more cherries, you can use a 9 or 9 1/2-inch pie plate. The first quantity in the recipe is for the smaller plate, the second is for the larger. For the almonds, I recommend that if you have a food processor that you use it instead of chopping the almonds. This will release their oils, which will give a more pronounced almond flavor which is such a delicious match for cherries. Preheat the oven to 425 degrees F. Line a pie plate with your favorite single-crust pie dough. Here’s ours. Place in the refrigerator until ready for use. Grind the oats in a food processor or blender until they resemble a coarse flour. Place in a bowl and add the flour, sugar, cinnamon and salt and whisk together to blend. Grind the almonds in a food processor or chop by hand, then add to the bowl. Stir in the melted butter. Set aside. 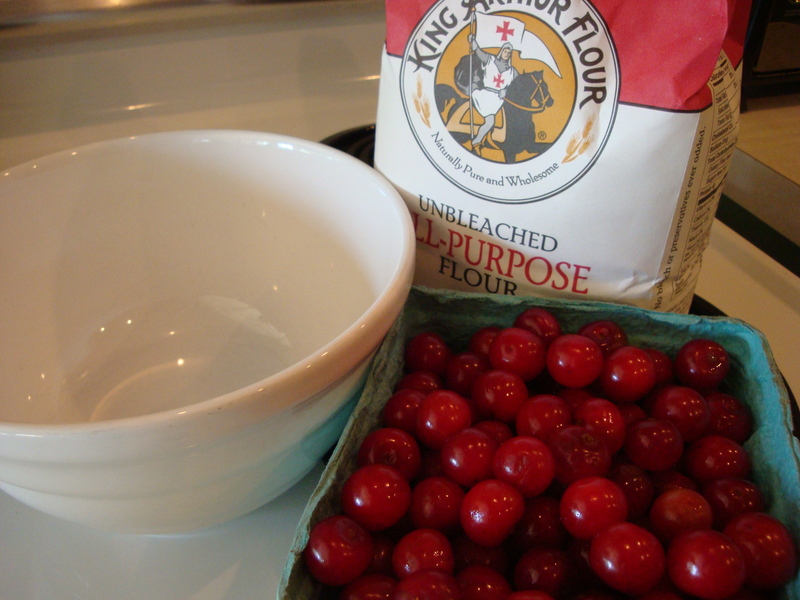 Pour the cherries into the prepared, dough-lined pie plate. Sprinkle the crumble over the cherries. 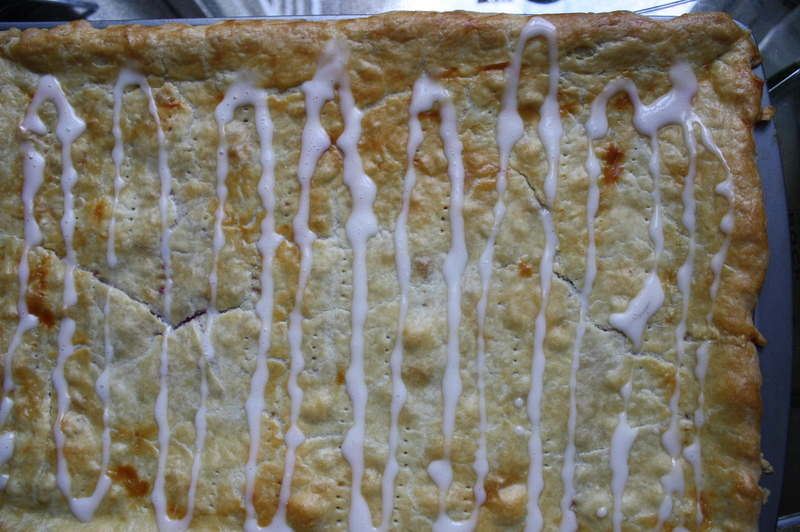 Place the pie plate onto the center rack in the pre-heated oven. Line the oven bottom with foil or place a cookie sheet on the rack below the pie. Bake for 15 minutes at 425, then lower the temperature to 350 and bake for 30-40 minutes more. 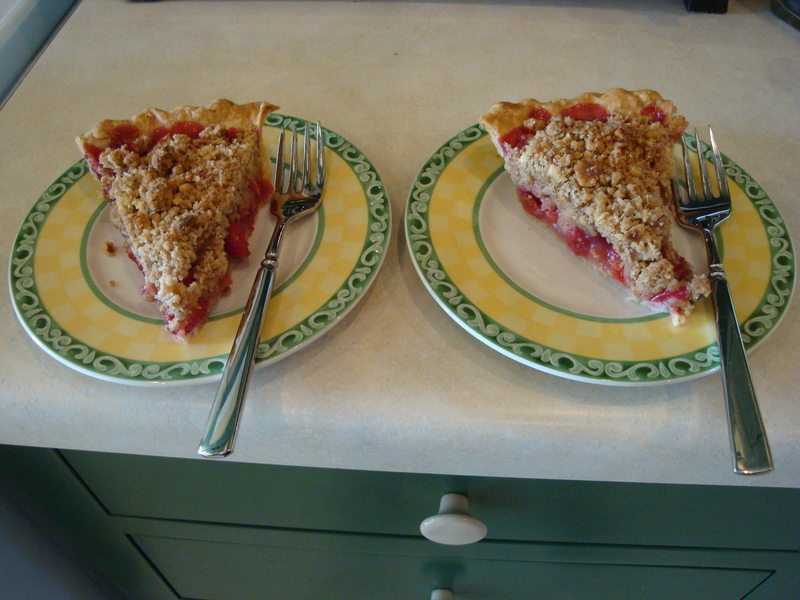 The pie is done when the cherry filling bubbles and the crumble is a little crisp. Remove from the oven, place on a rack and cool to room temperature before serving. 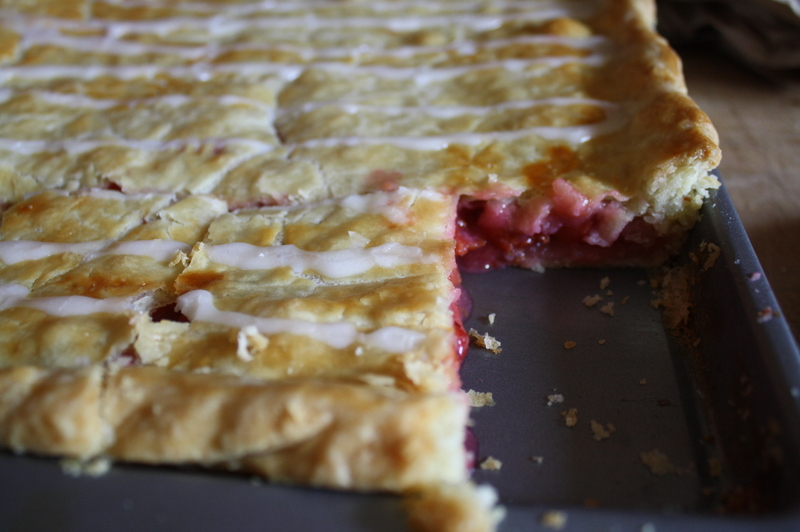 We all agreed that this pie is best unadorned – no ice cream or whipped cream, although use your own judgment. 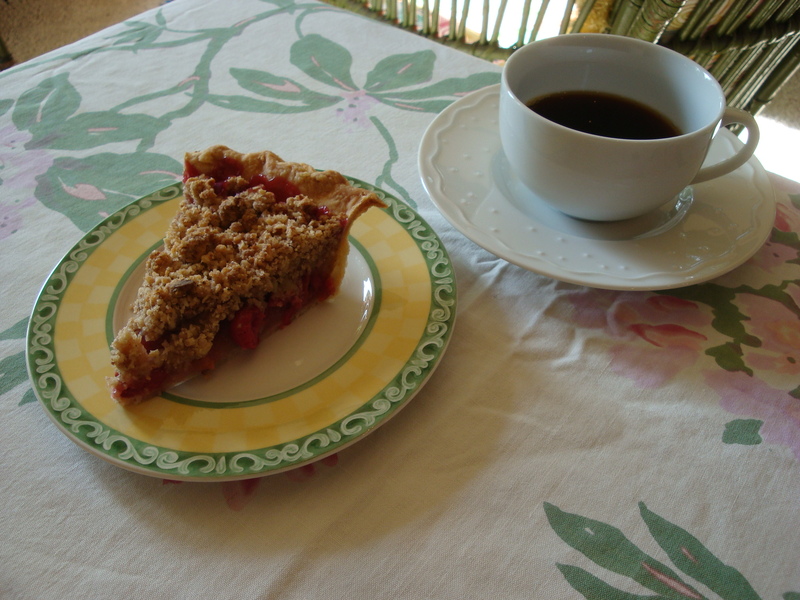 My favorite time to eat pie – breakfast! Or Breakfast of Champions as my sister-in-law, Cindy, likes to say. Oops! Tatum beat me to the punch . . . gotta go!